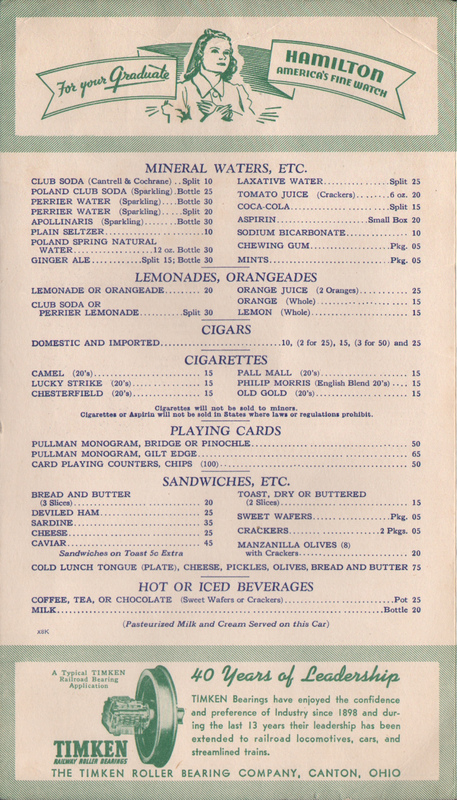 Description A very nice menu from 1938 featuring beverages and sandwiches from Pullman Lounge Car Service. The cover features a picture of a model showing the Transportation Building, Worlds Fair, New York. 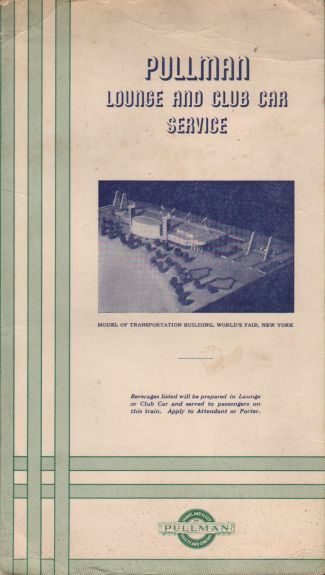 The New York World's Fair, was held in 1939. 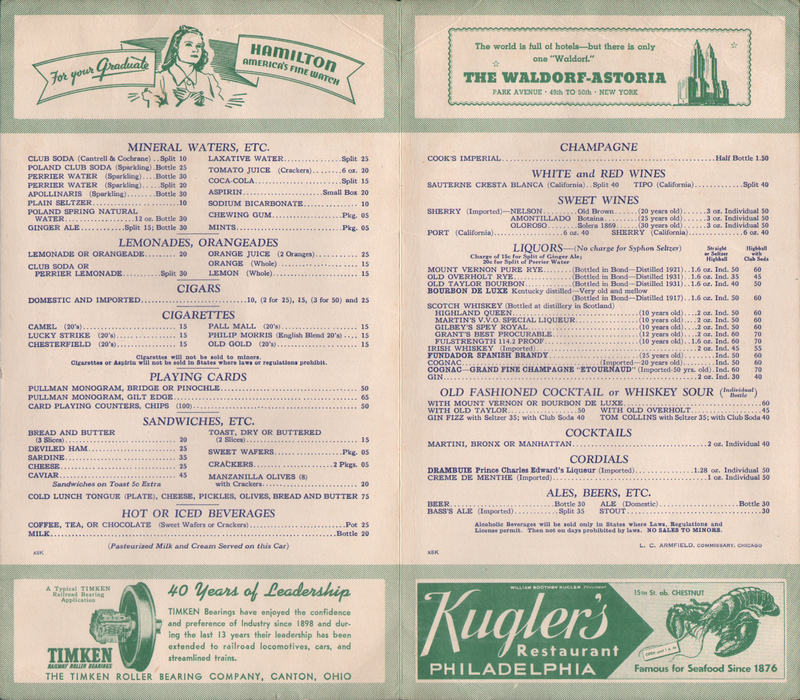 Also includes a paid advertisement for Hamilton Watches, The Waldorf-Astoria, Kugler's Restaurant, Timken and a Broadway Musical. 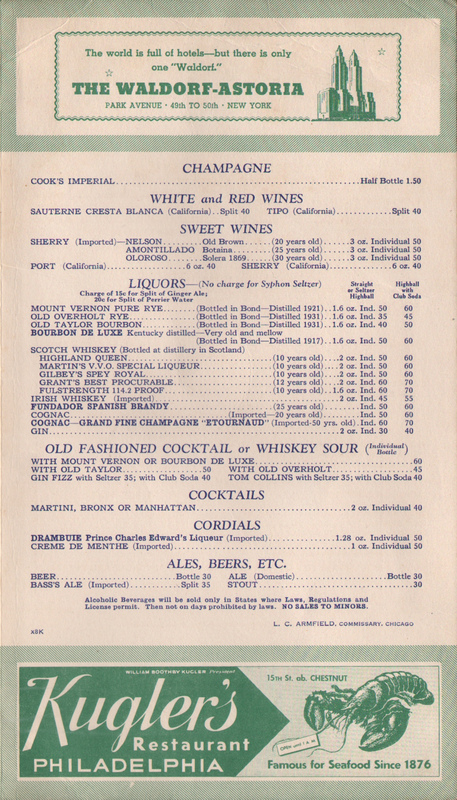 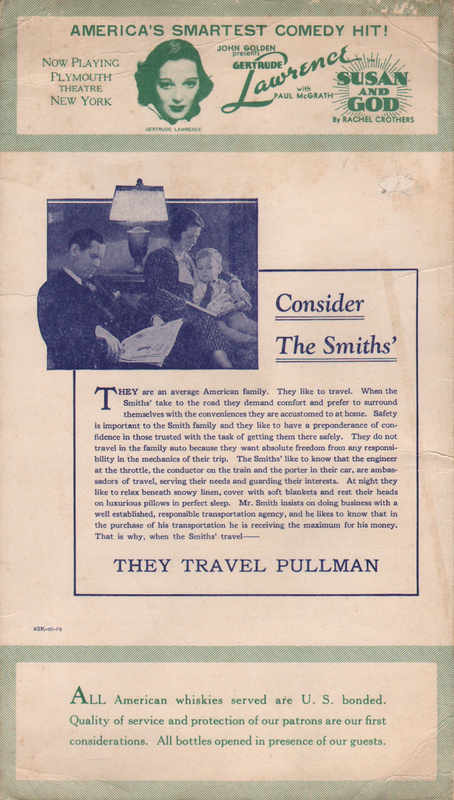 Most Pullman Menus did not include any type of advertising, making this an extra collectible menu.